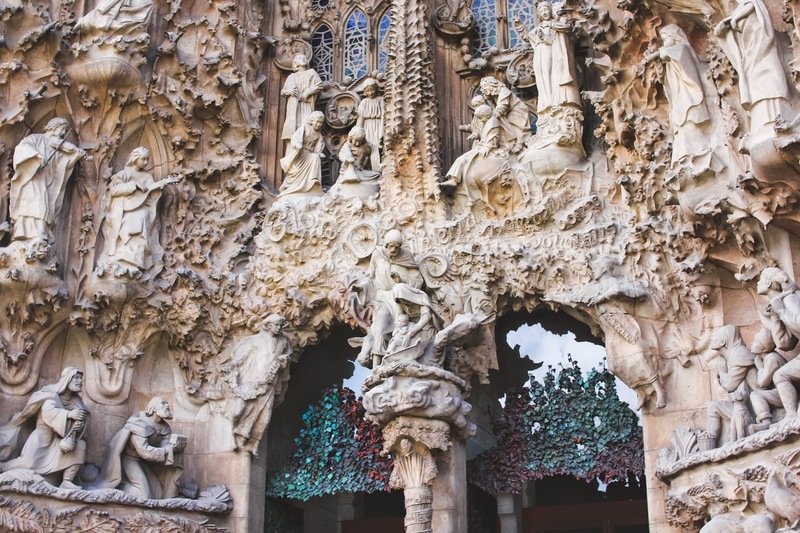 Before my first trip to Barcelona five years ago, I had briefly educated myself on modernist architecture and the legend of Gaudí through various guidebooks and countless viewings of Vicky Cristina Barcelona. However, about six months afterwards, what little information I had previously acquired quite effortlessly slipped my mind. For good. 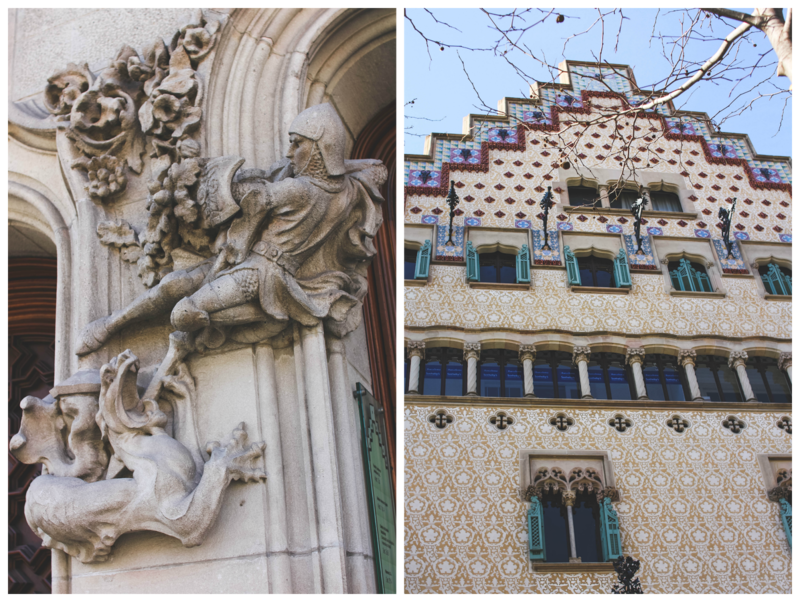 Upon my return to Barcelona, I was anxious to refresh my memory and delve deeper into Gaudí's masterpieces. But this time, I couldn't just rely on a guidebook. 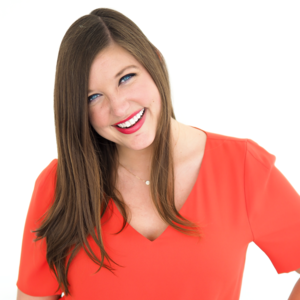 I needed a comprehensive overview from a source that would stick with me. So when Discover Walks reached out to me, I knew it was fate. More than your average tour company, Discover Walks guides you around the city through the eyes of a passionate local. 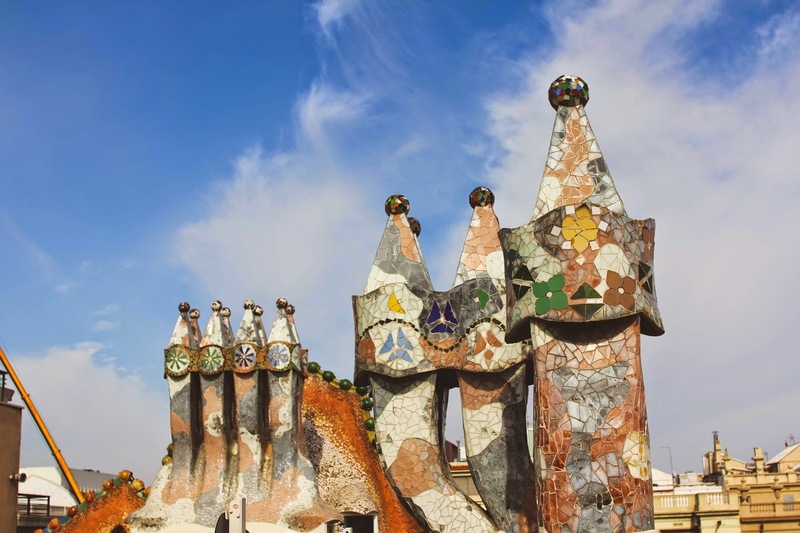 As my friend Morgan and I began our Gaudí Extravaganza - Best of Barcelona Tour with our native guide Biel, we immediately found his enthusiasm for his hometown to be contagious. Back in the late 19th century, Barcelona's central living quarters became too crowded - so the city began expanding into the Eixample (which translates to "extension"). 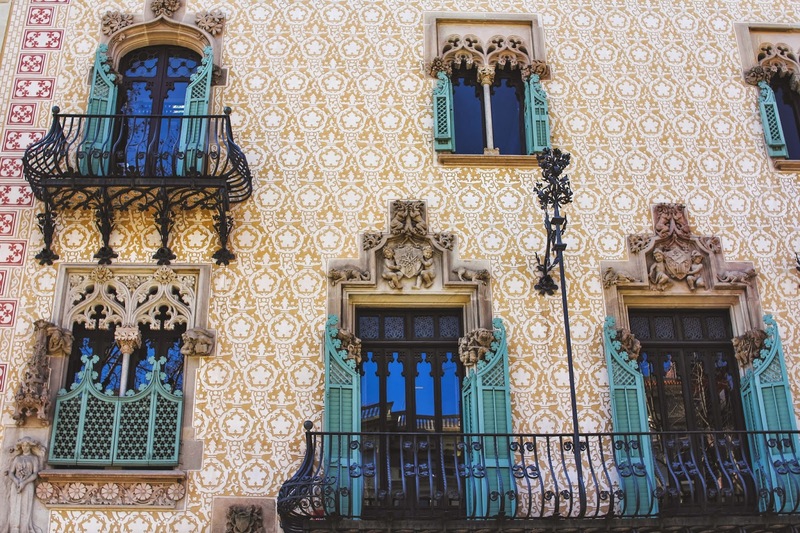 Many affluent families took advantage of this extra space to build large, lavish houses along the Passeig de Gràcia, which connected Barcelona's city center to other neighboring villages such as Vila de Gràcia. Today the Passeig de Gràcia is characterized by upscale shops, prosperous businesses, and some of the city's best architectural gems. 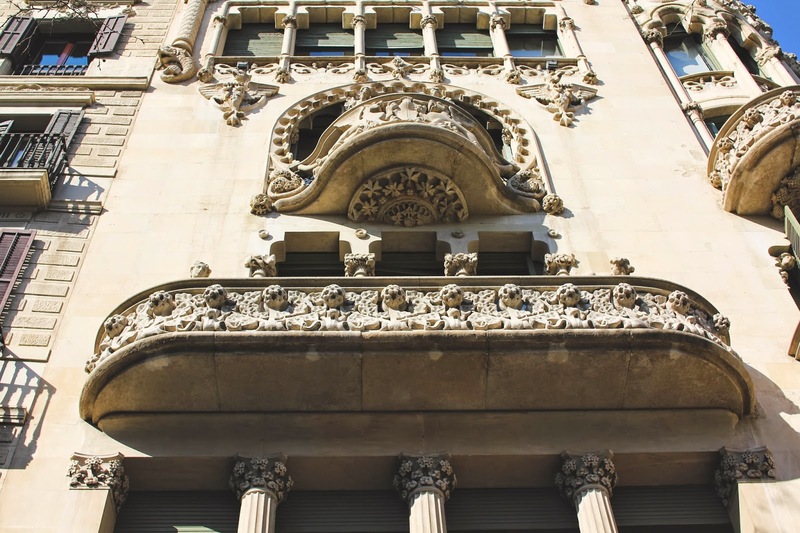 Amongst the many eye-catching examples of modernist architecture lies the Block of Discord, one of the most celebrated examples of Catalan modernism. We started our Discover Walks tour here, learning how the wealthy "Catalan Gatsby's" of the early 20th century competed to have the most impressive homes. On this particular block in the Eixample, several prominent Catalan families each hired different architects to design their houses. 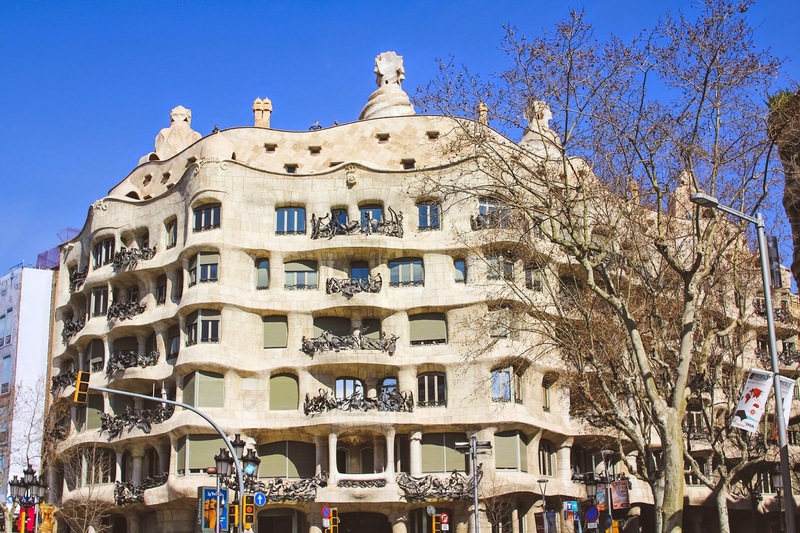 These distinguished modernist architects battled it out for the Passeig de Gràcia's most extravagant building, creating a row of notably clashing homes. We then moved on from the Block of Discord, exploring more of the Eixample's modernist masterpieces. 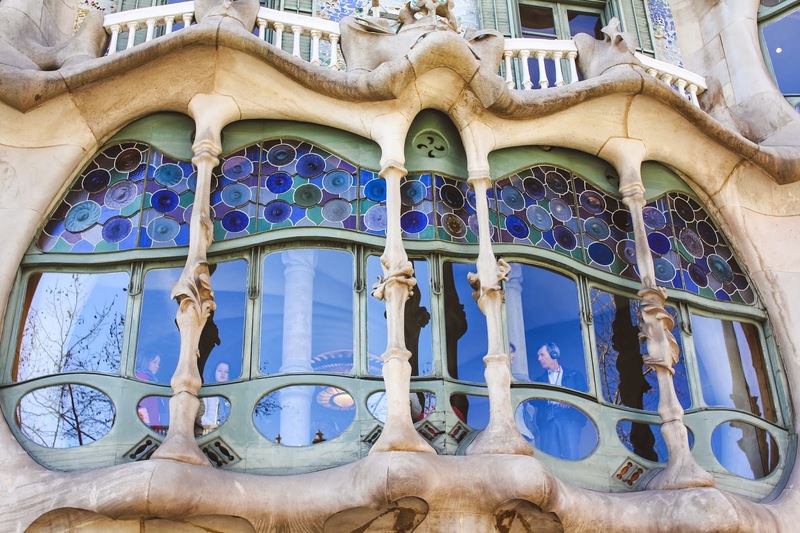 As we worked our way past Gaudí's Casa Milà and up the Rambla de Catalunya, we learned fascinating tidbits about the origins of modernism, the ins and outs of Catalan culture, and various fun facts about Barcelona. I found myself wishing that I had taken this tour five years ago, for I was beginning to see the city in a brand new light. How had I missed out on this much history my first time around?! 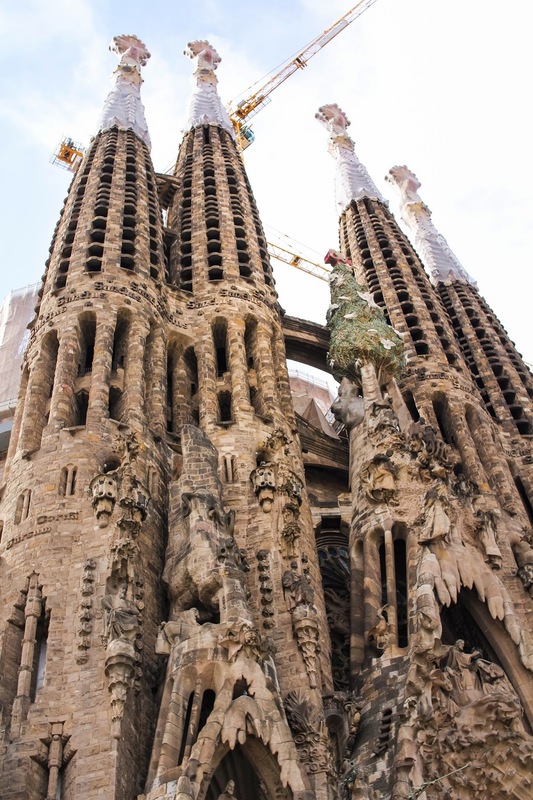 We finished the tour in front of Gaudí's enigmatic and unfinished cathedral, Sagrada Familia. By this time, our guide's contagious passion and enthusiasm had unmistakably spread to us. We ended our tour buzzing about Barcelona and wishing we had time to learn more. 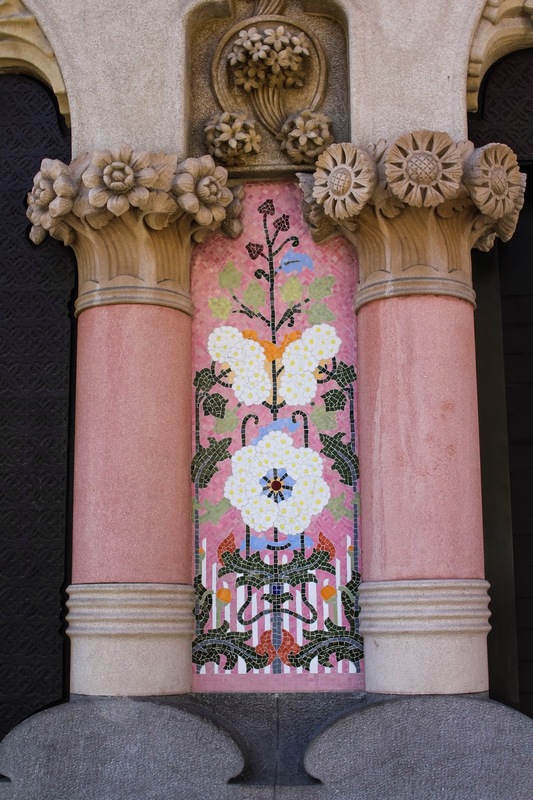 Refreshing, entertaining and informative, our Discover Walks tour was the perfect way to learn all about Catalan modernism. 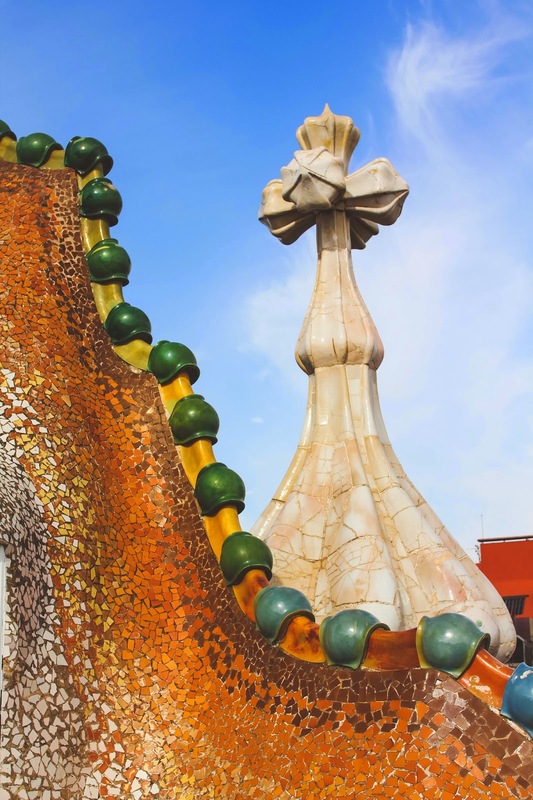 I discovered more about the city than I could have ever learned from a guidebook, for our vivacious guide made Barcelona's history come to life. Thanks to this comprehensive tour, I now have a deeper appreciation for the city's intriguing architecture and history. Discover Walks graciously invited me on their Gaudí Extravaganza Tour, but as always, all opinions expressed are my own. You can find out more about Discover Walks and their unique walking tours around Europe here. 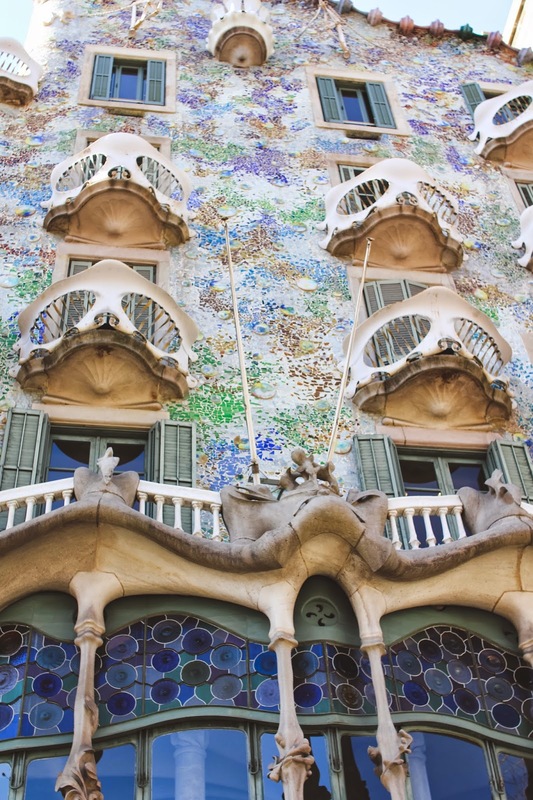 24 comments on "Modernism 101 with Discover Walks Barcelona"
Ahhh Gaudi, I have loved him since the moment I started architecture school. So unique and imaginative! Absolutely stunning. All the details, especially the flowers and flower tiles make me so happy to look at! How beautiful! I'm kicking myself right now as I went to Barcelona when I was 16, when I had no interest in looking at Gaudi's work... If only I could rewind 10 years and take it all in now! 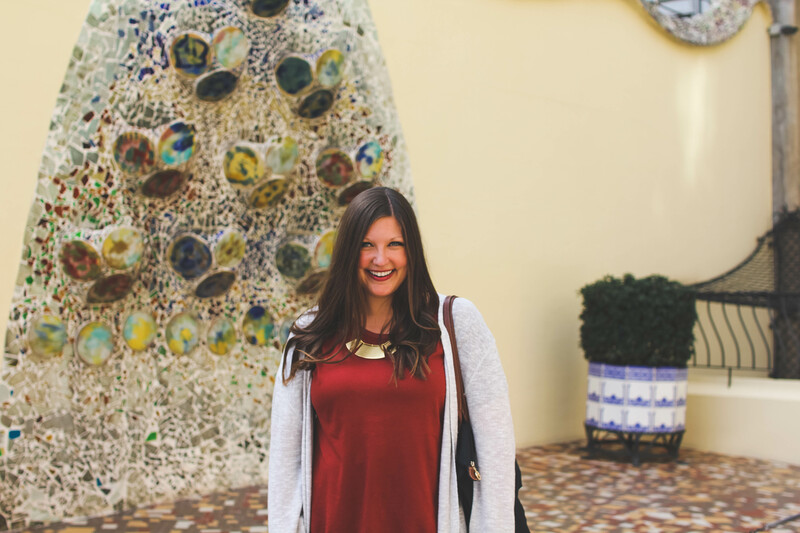 I love how Spanish architecture is so colorful! Beautiful pics. Gorgeous photos! So cool that your guide was so enthusiastic. That makes visiting so much more enjoyable! Those mosaics are stunning! What an amazing walk! I've heard about how pretty and unique the architecture in Barcelona is. It's beautiful! 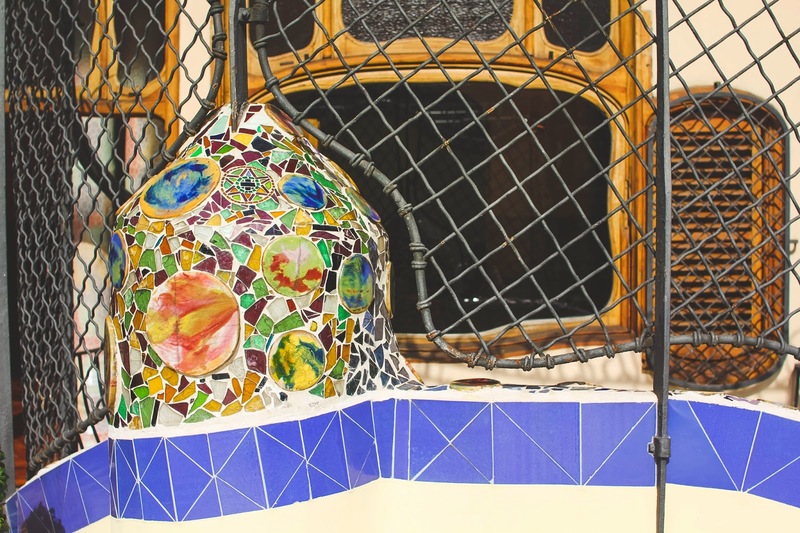 I love all the colorful tile mosaics and the iron work! I'm in love with Casa Amatller.....so beautiful! Never saw it in person in Barcelona though, so thanks for bringing that beaut to my attention! Agreed, all of his work is so whimsical and inspirational! That sounds like an awesome class - I wish I had taken something like that when I studied abroad! Thanks Shannon! And I agree, a good guide can make all the difference! I'm obsessed! I feel like I could gaze at the incredible architecture for hours on end and never get tired of it. It's such a magical city, isn't it? I can't wait to go back again! It's even prettier in person! And it was built for a Catalan chocolate maker, which is why the house itself imitates Belgian architecture. Pretty cool, huh! I’m very much interested in experiencing more Modernista homes and buildings that *weren’t* designed by Gaudí the next time I’m in BCN—did you get to check out the Hospital de Sant Pau and the Palau de la Música Catalana when you were in town? They’re World Heritage Sites as well but somehow I missed them on my Gaudí pilgrimage to Barcelona two years ago! Love your photos. Same here! He's a fascinating guy, so it only makes sense that his creations are equally as intriguing. I'm usually not a huge history buff, but I was loving every minute of this tour! No, to be honest they weren't even on my radar! But I just did a massive Google image search on them, and now I seriously regret not visiting. Wow! I guess I'll always be finding reasons to revisit Barcelona, right?